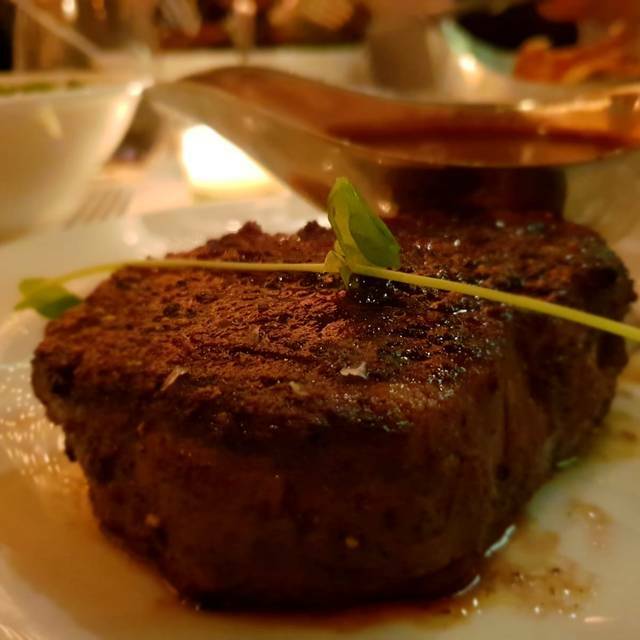 The Hunt and Fish Club is a contemporary New York steakhouse offering the classic cuts of beef and innovative dishes prepared by Executive Chef Chad Brown. "HFC" embodies the soul of a classic NY steakhouse reborn into a sleekly designed, elegantly appointed environment. First time I have been here even though it is a quick walk from my office in Times Square. I had never heard of it or read about it which surprised me once I experienced the place. It is relatively new having opened about 4 years ago. We ate early (5:30pm) so it was empty and quiet. It is a very pretty restaurant as steakhouses go. Definitely a place a woman could appreciate. By the time we left around 7:30pm it was crowded and noisy. But unless you are having an important business dinner I wouldn't let the noise level deter you from partaking of a truly excellent restaurant. You might consider it a cross between a steakhouse and a French restaurant. The service was more like you would expect in the latter. A waiter, sommelier, "captain", crumb scrapper guy..you get the idea. Not what you would expect at a typical New York steakhouse no matter how good the food was. BUT, I'll just say this: based on this particular meal experience, Hunt & Fish Club is the best steakhouse I have been in. First of all, our waiter was pleasant, patient and accommodating. Without commenting on the need for the other three folks that attended to us, let's just say they didn't add to the dining experience. 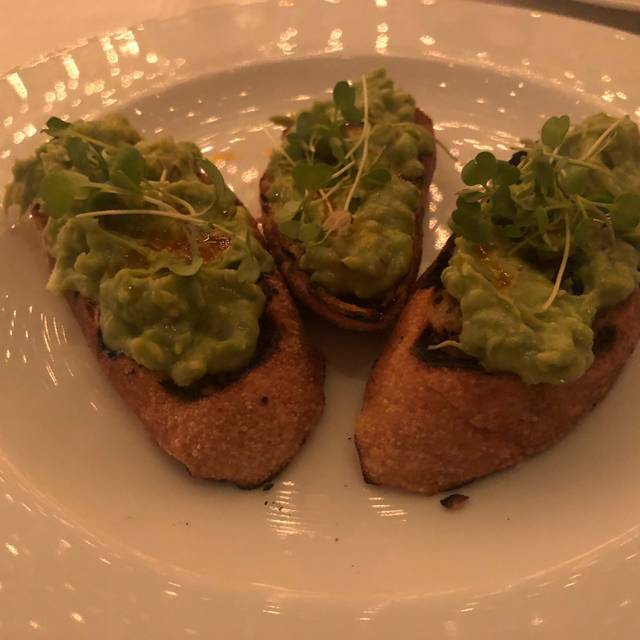 Although not on the menu, when we asked the chef if he would prepare oysters Rockefeller, we were accommodated with possibly the best I've ever had. I asked for 6 and they were immense King Points that were delicious. The Pastrami Salmon appetizer was phenomenal. 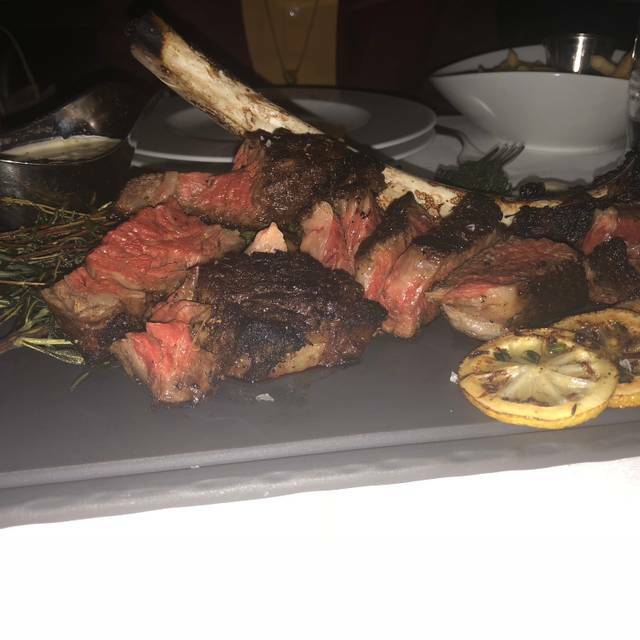 The Porterhouse for Two was the best I've had here in the City and at $138 was well worth it if you are a carnivore. I have found that most Porterhouse for Two Steaks served here in New York are not enough meat for two people to share if they are big steak eaters. The asparagus and spicy broccoli rob sides were delicious and IMMENSE. Easily double the size of normal steakhouse sides. The Rioja by the glass was excellent and I was surprised to find it offered in the wine list. No room for dessert :-). This was a restaurant which we really wanted to love. The food was well prepared and tasty but contrary to other reviews, our service was lacking. We were never greeting by our server and after 10 minutes after being seated we were finally given menus by a different server. Another server appeared about 10 minutes later and wanted our order without asking if we wanted a beverage to start. I had to ask about any specials. The food was presented in a timely manner but the server never came by again and never asked how our meals were. The last we saw him was when he stopped by to pick up the credit card. Service was outstanding. Food was good but for cost, portion was lacking. Sides, salads are all extra. The restaurant is convenient to Broadway and the food was very good. Our only compliant is that it is loud, hard to hear the server and each other. Everything was wonderful from the service to the food. The staff was kind and attentive. The food was delicious. It is very loud and the tables are very close together. Was tough to have a conversation. The food was very good although perhaps a bit pricey for the quality. Service was good and staff is friendly. We booked the Hunt & Fish Club for our ore-theatre meal. It was fantastic. The food was delicious and the service impeccable. 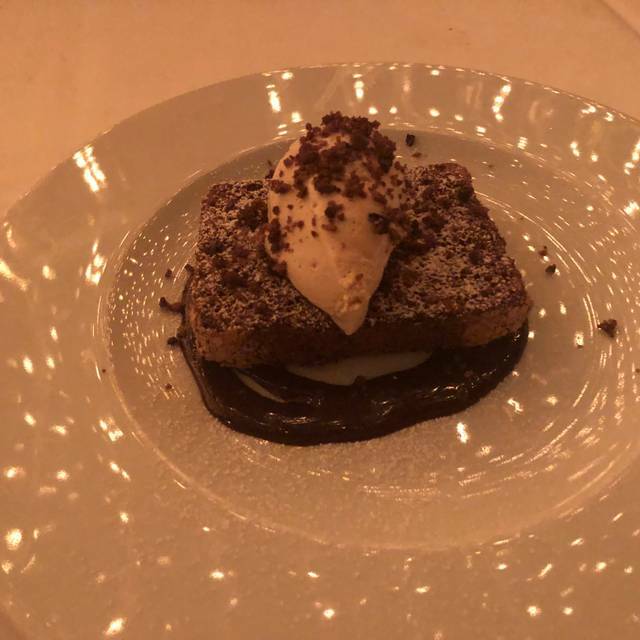 We came to NYC for my 30th birthday and Hunt & Fish Club did not disappoint! What a find. We were attending Burn This and wanted a nearby place to eat. I had a sea food salad, my husband his usual, when available, pasta with clam sauce; and popovers were the "bread". We indulged in an order of carrot cake along with very good coffee. All quite delicious. Glitzy setting, great, attentive service and two doors from our play. It was a great start to the afternoon. Service and food fantastic! Drinks were made as ordered. Food pricing commensurate with quality. Bottled wines on the high end. Ordered bone in NY strip. Inedible! Returned and got another. Equally tough and gristle ridled but as a bonus raw! Manager never came back to ask how the second steak was but was promised desert on the house by the waiter who took away the second steak. Desert was good but on the check along with the steak, coffees etc. desert removed when complaint made but never did see the manager again. Don’t think I’ll be back. Too many other mediocre pre theater restaurants on the same street. Great food but big prices. 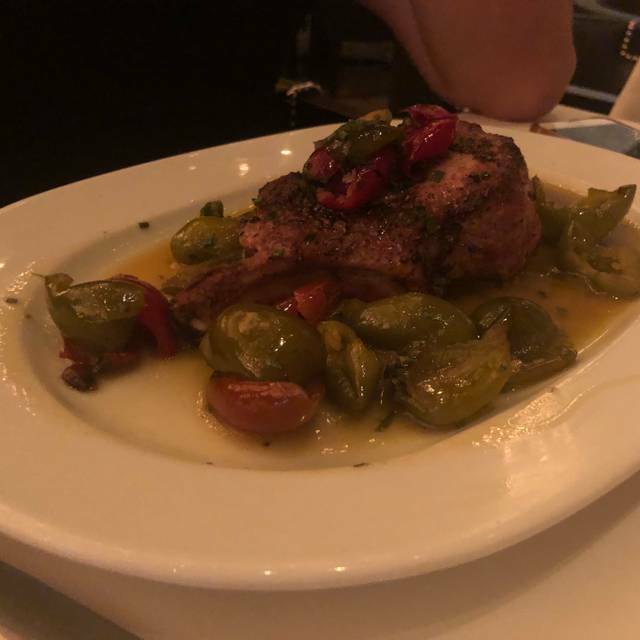 Pork chop is awesome if you are ok with spice. Octopus also solid. The steak and lobster was cooked to perfection!!! It was very good and they accommodated my wife with a vegan meal not on the menu. Only criticism I can provide was they made us wait to be seated when our table was open and it was our reservation time. My family and I attended the Hunt & Fish Club for a birthday dinner prior to seeing a Broadway show. The service was pretty good which included coat check and to make sure we were on our way to the show in time. However, we were asked if we would like truffle butter on our steaks. Of course we all said yes because it sounds delicious and it was BUT no one from the staff mentioned that the upcharge for one (1) tab of truffle butter is $25.00 (half the price of my steak!). There were four (4) of us at dinner and $100 of our very expensive bill was for BUTTER. After complaining to the waitstaff the $100 charge was removed. It felt as though it could be a “tourist trap.” The food was delicious but I doubt any of us will be dining there again. I’d prefer to pay less, eat a more mediocre meal and have upfront service rather than be trickily overcharged. Food was amazing but overall way too expensive. Service could not have been better; staff was very knowledgeable, attentive but not obtrusive. Ordered Chef’s Seafood Salad to start/split - a delightfully light dish swimming with gems like shrimp, calamari, lobster and scallops. Dinner was the 10 oz. 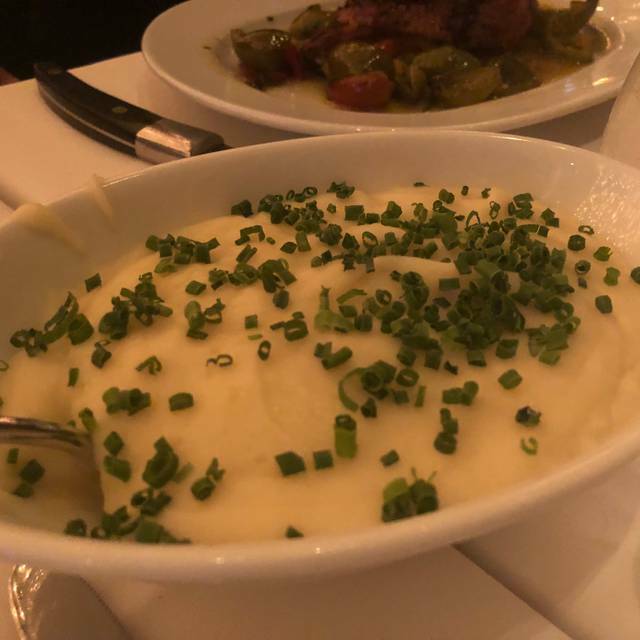 filet with mashed potatoes (delish!!) and toasted asparagus (over roasted/mushy). 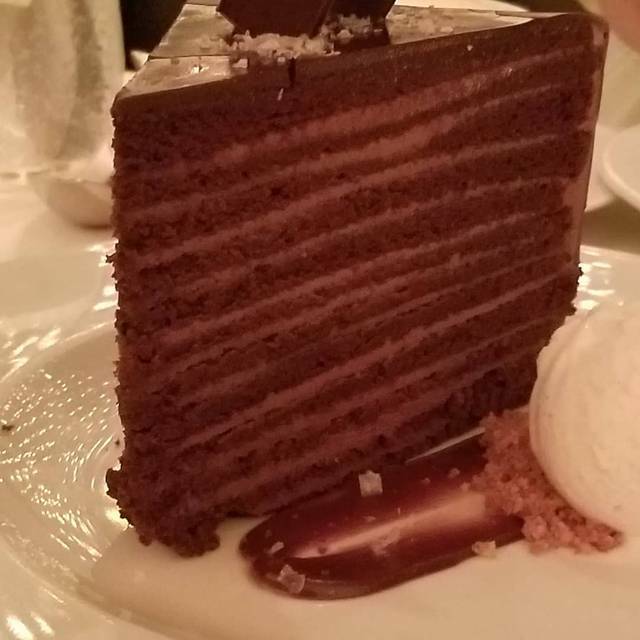 For dessert, the mind-blowing 24 layer chocolate cake with salted caramel gelato - really needed 2 scoops but they also took the time to write a celebratory birthday message on the plate. All in all a wonderful time, but the bill for 2, including 2 glasses of modestly-priced wine, was close to $300. Gorgeous restaurant and elegant service. Food is overpriced and way too saucy for my taste. Farro lentil salad was very salty, bordering on inedible. Flank steak was smothered in a mystery gravy that had to be set aside. Pasta tasted like potato gnocchi. It’s possible that other dishes would’ve been more satisfactory and that I “ordered wrong,” but at those prices, all of it should be good. Our waiter was “unavailable” to serve us. what to order. The head captain pitched in. It felt like a circus. Moreover, we waited an extremely long time for our food, even just to be served bread. We will never go back. Despite the sparkling interior, this is one of my favorite Midtown lunch spots! They have amazing salads and really good burgers ; I am sure there are some other things on the menu too. Their big treat is hot Yorkshire Pudding in a basket on the table. Food was outstanding. Menu had a lot to offer for different tastes. The service was outstanding a little slow in the beginning because of the theater crowd but the staff handled it well. I would recommend giving yourself time to enjoy the food don’t rush. The front of the restaurant is very unassuming. You will pass by it if you don't know where it is but inside is beautiful. The décor is beautiful, very comfortable. After we were seated the hostess said our waiter would be over shortly. For some reason he ignored us even though we know he saw us and after quite a while a waitress asked if she could help us and took our order herself. She was very friendly and helpful. 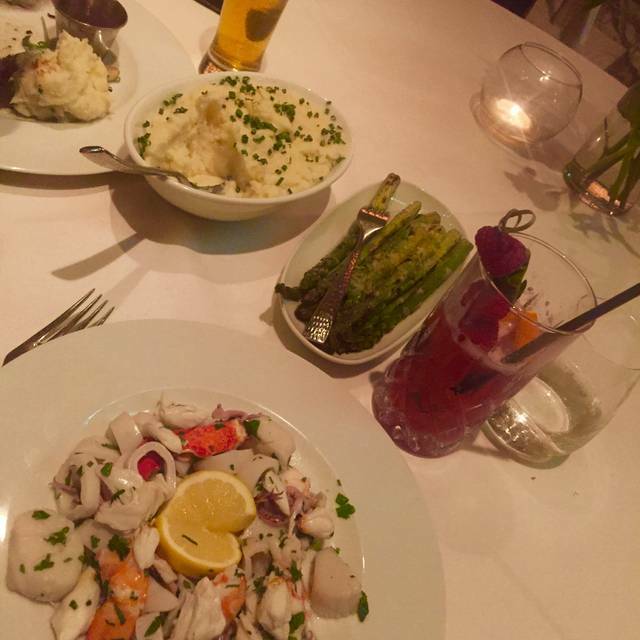 I had an amazing seafood salad, that was so fresh and delicious and also ordered grilled asparagus. Also, excellent. My friend has shrimp in tomato sauce and grilled mushrooms. Both excellent. I would definitely go back. I think the prices were fair considering the ambiance and excellent food. Great for dates, pre theatre anything, but would not take children. Too fancy. My only complaint will be that someone would come to the table every 3 minutes to ask if you are ready to order alcoholic beverage. That was the only negative part of my experience. Other than that waitress and the food and wait time were excellent. Would definitely recommend, this was my second time there. Perfect restaurant! Everything was perfect. One of the best steaks I’ve ever had in my life and the tater tots were amazing! Went here for a work lunch and the service was absolutely terrible. The restaurant was fairly empty and it took forever to get waters refilled or to get our food. I was really disappointed in the experience, as I had high hopes for the restaurant. Maybe it's better for dinner. Great service great food. They took care of our every needs bravo Hunt And Fish Club. I made a reservation at HFC for my birthday. 3/4 of my dinner party were over an hour late (don't even get me started), & the hostess was so very kind in still accommodating my group. So many points to her! The good: It's pretty. The music here was AMAZING! Honestly, my friends & I kept having those "omg I love this song!" moments: think old school r&b and 90s classics. Additionally, the music was at a great level, high enough to enjoy yet low enough to also hear & enjoy your dinner conversations. Our server, Matthew, was also absolutely amazing. 100% attentive and super sociable. The Manager, I believe his name was Dave or Daniel (sorry!) was also very nice & stopped by our table to see how the dinner was going. Also, the Pineapple Sorbet is LOVELY!!! Not too sweet & so fresh! The bland: I truly believe HFC is afraid of seasoning. Everything was so BLAND. The lobster bisque (watery and bland), the truffle tots (meh bland), the crab cakes, & my salmon was burnt (skin) & bland (I did not finish it). Coincidentally, the best thing I had was the vegetables that came with the Salmon, they were DELICIOUS! One of my friends said his steak was pretty good, and another ordered the stuffed lobster for two & that was pretty good yet could still use some seasoning. All in all, we were highly disappointed in the food & I have had much better from places with much lower ratings. Honestly, I was very disappointed that such an expensive meal was just so "meh" & forgettable. Even the carrot cake was super dry & disappointing. Of note: I'm not sure this place is ADA accessible as they suggest as there are steps to get into the main entrance (unless there is another elsewhere). There ARE restrooms on both levels though. OVERALL: I wanted to love this place, I really did, especially with it being my big birthday dinner. If it were a lounge the music would make it 5 stars! Unfortunately, it is an "upscale" restaurant & I expected much much more. Had been here from drinks previously, but wanted to try it for dinner. 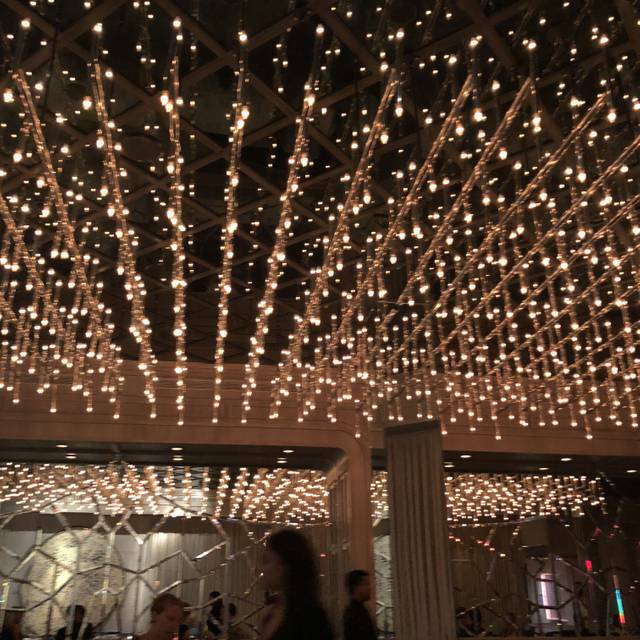 We went pre-theater and were very happy with the service and food quality. A definite step up from the usual Theater District spot. Will return. We had a terrible experience. We advised the server that we had show tickets. He stated we had plenty of time. We ordered and sat..and sat.. our food did not come and we had to leave without having our dinner. My whole experience was amazing. Bartender super nice. Nova was so absolutely great. It was my sons birthday and they made him feel really special. Then best part was the food !!! I highly recommend Hunt & Fish!! Always enjoy going to the Hunt and Fish Club. It is probably the excellent service more than the meal itself that is worth noting. This is not to diminish the quality of the food, which is excellent. Bar area cozy for an aperitif. Main Dining room open and airy, well lit with beautiful decor. Service was extremely attentive and the food was delicious. Great dining experience. The food and service was excellent. Especially loved the roasted asparagus and mushrooms. Our reservations were for 5:30pm on a Wednesday and around 6:00pm, the noise level significantly increased. Overall great experience.